Competitive karuta has never been so exciting. 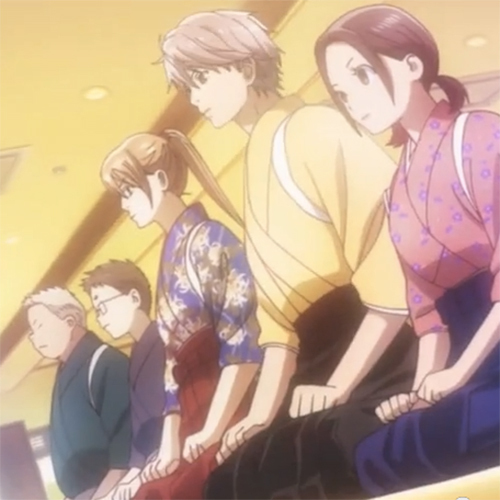 Based on the manga of the same name, the anime Chihayafuru, follows the exploits of a high school team that competes in the sport of karuta, a Japanese card game involving centuries old poems. Sounds like an unlikely premise for an anime I know, but trust me, it’s good stuff. The second season just started airingon Crunchyroll this week. The entire run of Chihayafuru 2 will be 25 episodes. To really get the most out of the series, you really need to start watching from season 1, which can be located under the second season here, also streaming on Crunchyroll. Watch Chihayafuru at Crunchyroll here. Tagged anime, Chihayafuru, Crunchy Roll.